Mass murder is wrong when carried out to make political statements. Mass murder is wrong when carried out to intimidate others. Mass murder is wrong when carried out to save other lives. Mass murder is wrong when carried out to [insert any English phrase here]. Mass murder is wrong. Period. For just as murder is a more heinous crime against another man than larceny, so mass murder—indeed murder so widespread as to threaten human civilization and human survival itself—is the worst crime that any man could possibly commit. And that crime is now imminent. And the forestalling of massive annihilation is far more important, in truth, than the demunicipalization of garbage disposal, as worthwhile as that may be. Or are libertarians going to wax properly indignant about price control or the income tax, and yet shrug their shoulders at or even positively advocate the ultimate crime of mass murder? So say it with me, libertarians. 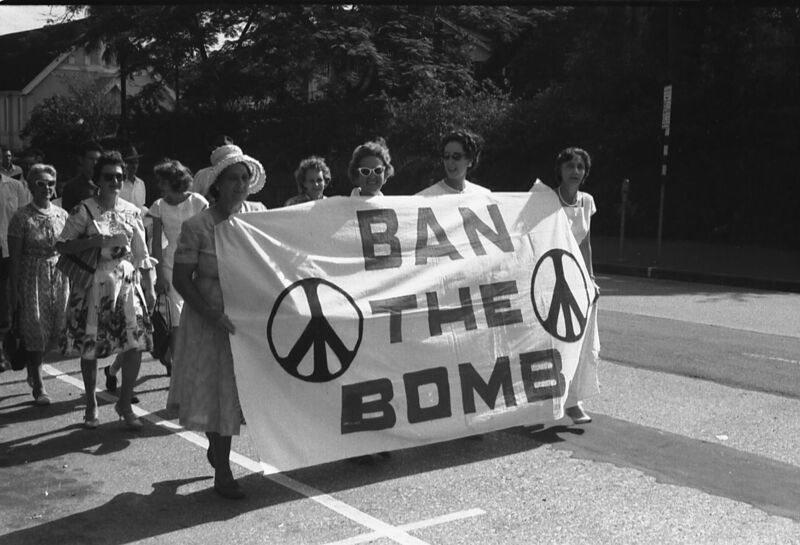 Ban the bomb.